Professional design unique to your business NO TEMPLATES we build YOUR site just for YOU. 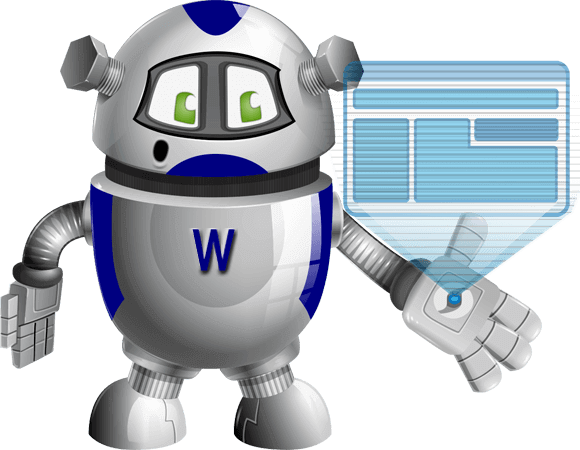 Why Choose 3001 Web To Build Your Site? Finding someone to build a website for your business is not something you should take lightly. You need to know that your website is in good hands, leaving you free to promote your business and support your clients. We have many years of experience building websites and will go out of our way to build you the BEST site we can. We often get asked, "How Much Is It Going To Cost?" That is a little like asking how long a piece of string is. It depends on how much work is involved. We CAN tell you that we do not overcharge like some web design companies. 1. First, you tell us a little about what kind of website you want. If you are not sure don't worry we can help by asking you a few questions. 2. We will ask you what you want your site to achieve, what your goal is and what kind of features you require. 3. Once we think we are clear on what you are aiming for we will give you a quote that will not break your bank account. 4. If you decide to go ahead we will send you an order link once your site is paid for we will build it. 4. A programmer should you want any custom functionality adding to your site. This is a LOT of different companies to communicate with and organise. 3001 web offers ALL these services AND MORE under one roof. We get to know our clients, their sites and their businesses. Many of the services above get to sell to you only once so of course, they are going to charge premium rates. Our clients come to us time and time again for many different services, therefore, we can provide those services at less than their normal combined cost. Great support is VITAL for any online business if you do not have great support how can you, in turn, offer it to your clients? There are MANY MANY big web companies that make a big deal out of "24/7" support. Sounds great but how fast will your issue get fixed? A lot of the bigger companies hire support reps who do not know how to fix your site or have no access to the servers. So your request can be passed from department to department for days until it is fixed. We do not employ support reps here, we have a team of experienced web designers, programmers and web gurus. We offer FAST support by support ticket 16 hours a day. We offer live chat support 16 hours a day. We have a 24/7 server tech team who pro-actively monitor ALL sites on our servers. 90% of the time our first reply to your support ticket will be to tell you your issue has been fixed or your request completed. We do NOT use copy and paste canned replies. If we do not fully understand your request we will ask you to clarify. In short, we offer REAL support. Finally, we get to costs. We have a VERY transparent pricing policy no hidden extras. Running a website is like running a real shop it costs money. We will work this out with you using our free quote form and lay out clearly what you will get for the price we quote. The mysite.com name of your site. These are rented from a domain registrar from £14.99 to £15.99 per year. You will own your domain name and have FULL control over it. We have super fast web hosting from £9.99 a month or managed WordPress web hosting from £15.99 a month. The main difference is a few extra speed enhancements, daily backups of your site plus we will do all WordPress updates for you. Any future work over and above your first design will be quoted on a job to job basis. Just to give you an idea we regularly send our clients invoices from £5 to £10 for work we do for them. Again we do not have silly one-hour minimum charges here, we charge only for the time we work not a penny more. So why not get started and get a FREE WEB DESIGN QUOTE There will be no pressure we do not sell here we solve!